Sony Ericsson has just revealed new feature phone Mix Walkman. Sony Ericsson Mix Walkman phone looks almost exactly like the WT18i. Mix Walkman run on Android OS and powered by 800 MHz processor with a 3.2 inch Touchscreen display with new UI for one touch access to applications. 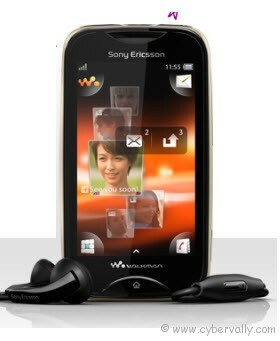 – The new Sony Ericsson Mix Walkman Price and availability info is not yet available.